Sharpe was born on July 20, 1948, in Savannah, Ga. and attended H.V. Jenkins High School, where he was a star athlete-lettering in both basketball and baseball. After graduation, he attended Erskine College in Due West, S.C. on a basketball and baseball scholarship. 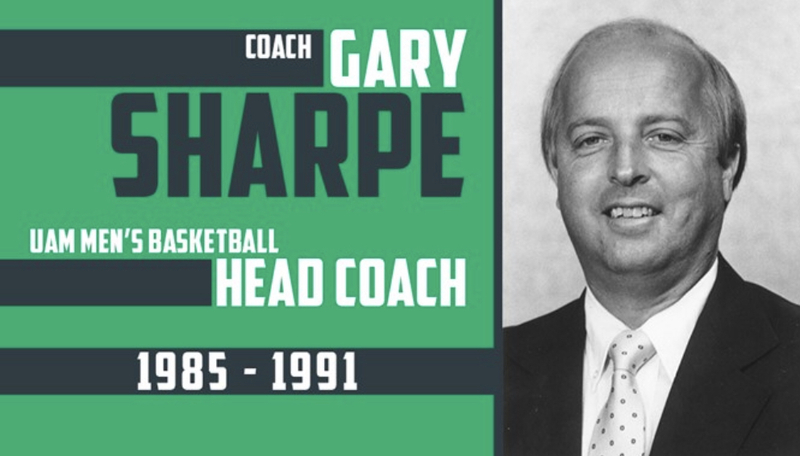 UAM, where he also served as athletic director, was Sharpe’s next-and final-coaching stop. While he loved coaching basketball, his obituary said, in 1992 he made the choice to focus on athletic administration in order to have more time to devote to his son Allen’s basketball career. Older article: Billies escape Magnolia With Win. This entry was posted on Friday, February 1st, 2019 at 5:02 pm	and is filed under Sports. You can follow any responses to this entry through the RSS 2.0 feed. You can leave a response, or trackback from your own site. Great man! I thoroughly enjoyed his time in Monticello and enjoyed the excitement he brought to the men’s basketball program. I luckily had the chance to visit with Gary a few times when he came to watch Allen coach.